Zoo Mobile – Open your own Zoo! Majestic lions, fluffy bunnies and curious kangaroos – in Zoo Mobile, you'll meet them all as you experience the colorful tycoon sensation and run your own zoo! Download the Animal Game App! Prove your skill as a zoo manager, take care of adorable animals and turn your zoo into an awesome attraction. 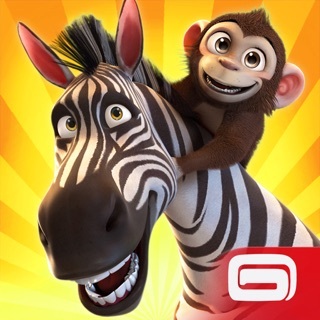 Explore the animal game adventure that is Zoo Mobile. Note: Zoo Mobile is a standalone app and cannot be linked to existing accounts in the eponymous browser game. *CHOMP* - the crocs in MyFreeZoo Mobile have taken care of a bunch of bugs with a single bite! The new version eliminates several small errors. I love this game. I played zoo tycoon on a PC when I was a kid and I could spend hours creating and planning. This is very similar but there is NO way to effectively play this game and keep leveling up in a timely manner without spending really money. There are hardly any ways to earn diamonds and when you do its only one or two at a time. The prices for certain animals or enclosures or decorations seem outrageous. 700,000 dollars for one animal? I would have to play for months and not do anything but collect from my shops to get that much. That’s not fun- I just want to play the game not have to buy diamonds with real cash just to afford a lion. Otherwise this game is well constructed and very soothing. Not zoo tycoon but it will do. I’ve been playing this game for two months and i absolutely love it, but as i checked the rewards that i would get when i leveled up, i noticed that there was a new aquarium building that i could buy once i leveled up, along with different fish that i had not previously seen in the store. Once i leveled up, i noticed that the building nor the fish had appeared in the store, so i’m wondering if there’s anything that can be done about that?